*Be sure to read all the way to the end and join in the fun! Having Andrew with me for the birth of our children was such a huge blessing. Seeing him hold them for the first time, welcoming them into our little family was a great joy. 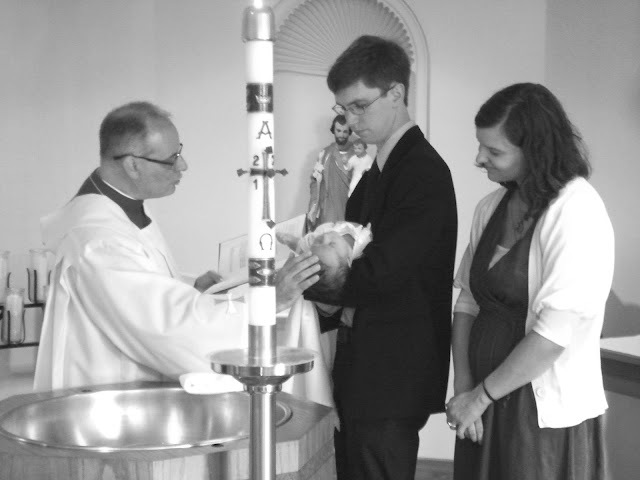 But I think a greater joy for the both of us, was seeing them welcomed into the family of the Church. We've only been blessed with two little ones thus far, but the two men who baptized our girls were both an absolute gift to our family. They shared our joy and prayed intensely for us during my tough HG pregnancies. The priest who baptized Therese literally screamed with joy in the confessional when I told him that I was expecting (it was hilarious and so affirming in the midst of a rough time). 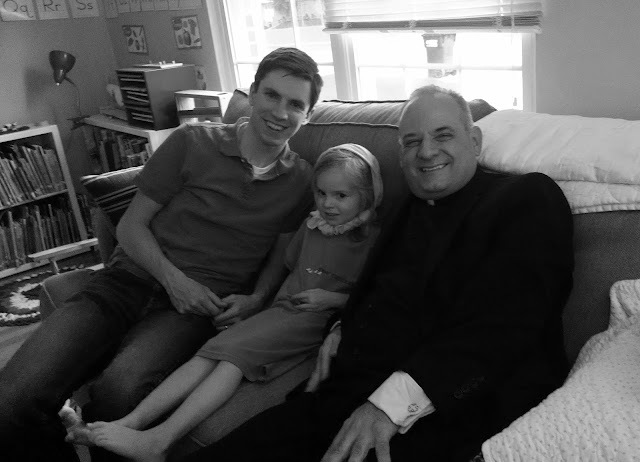 The priest who baptized Maria gave us so much support during that pregnancy, making it possible for me to continue receiving the Sacraments, even when I was too sick to leave the house (he even gave me the Sacrament of the Anointing of the Sick, which I think was a huge game changer!). And then, to see them share in our joy, as they held these little babies and welcomed them into the body of Christ? It was truly beautiful. Regular readers know that Andrew has been teaching at a seminary this year, and will be teaching there next year, too. 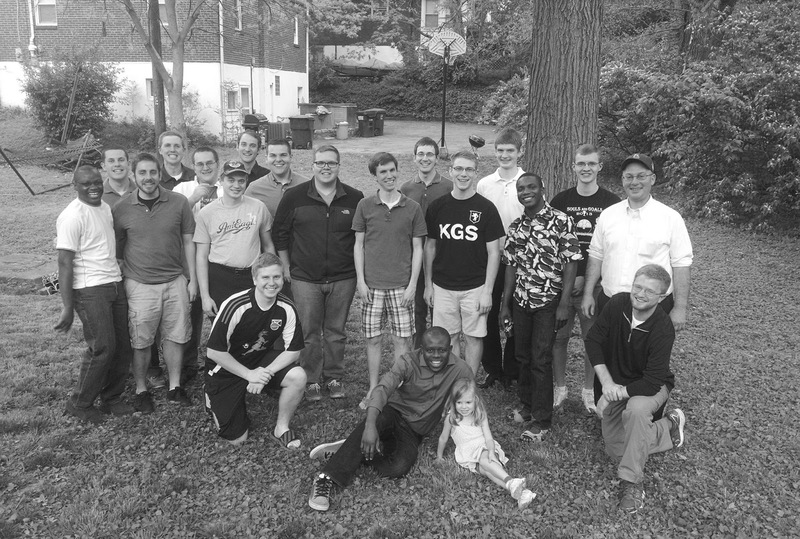 Spending so much time with these young men has been thinking more about the vocation of priesthood than I ever had before. Being married to Andrew for almost six years now, and knowing him for almost eight, I've seen him go through a lot of in that time. He's had me by him all along, and has gotten to experience the love, respect, and appreciation of the (now!) three women in his life. Despite that, fatherhood is still a hard road at times. 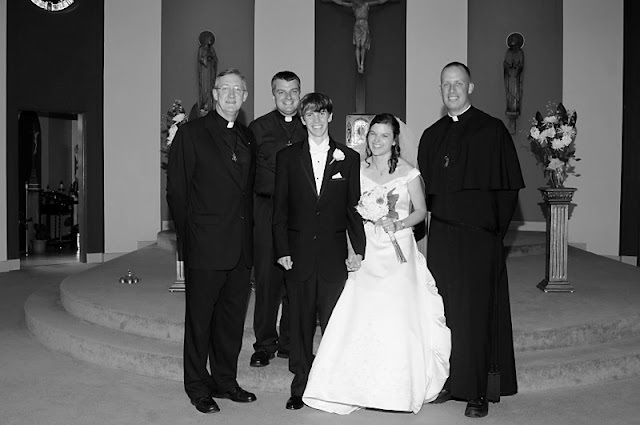 I think a lot about our seminarian and priest friends, though, and the fact that the Church is their bride. If they are going to experience love and respect and appreciation, they are going to experience from us. But let's be honest - priests don't get many words of appreciation, or any hugs or joyful greetings at the end of a long day of work. 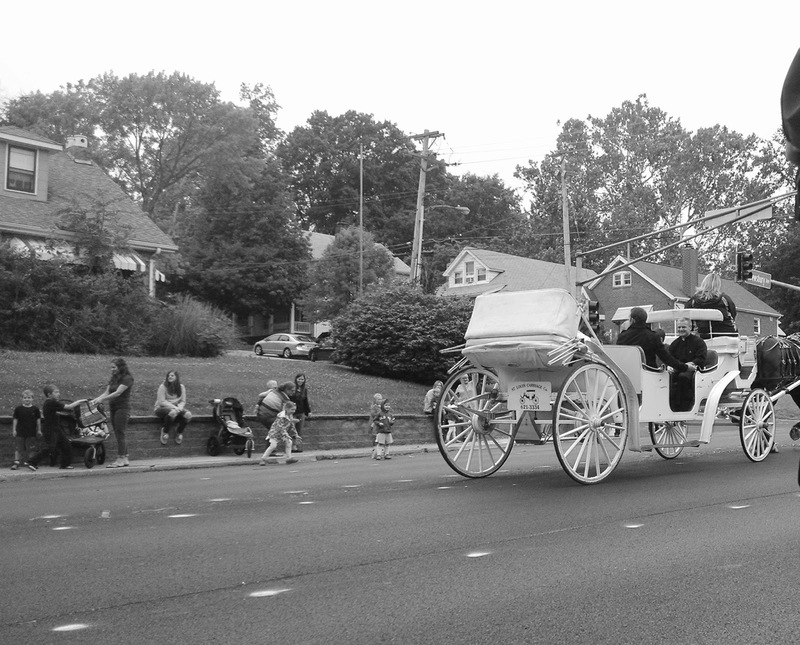 They labor for their "children" and not only is that labor often taken for granted, but they're often misunderstood and even mocked by secular society. It is a hard and often lonely road these men walk. 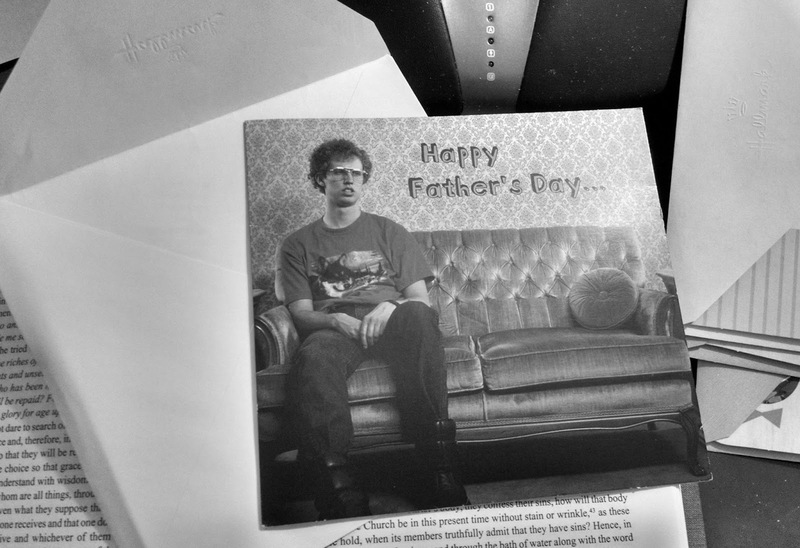 Fun Father's Day cards are appropriate. Two of our other priest friends will be getting Batman Father's Day cards. In my experience, many priests are pretty good sports about having to do whatever it takes for the sake of their ministry. They'll wear tons of vestments in awful heat so we can have a Eucharistic Procession on Corpus Christi. They'll drop everything to (sometimes cheerfully!) hear your Confession. They aren't afraid to inject humor into their homilies to make us laugh. Most priests want their flocks to know true joy. We have been blessed with some incredible priest and seminarian friends in our life, and their vocation strengthens us in our own. That's why, every Father's Day since we got married, we make sure to send our priest a card, letting him know we're thinking of him. Why don't you do the same? 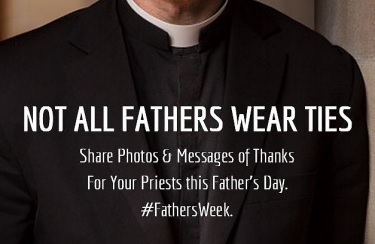 The seminary Andrew teaches at passed around this image and hashtag, so I challenge you...what is it about the priests in your life that make them a "Father" to you? How are you thanking them? Let's make this hashtag go viral!! 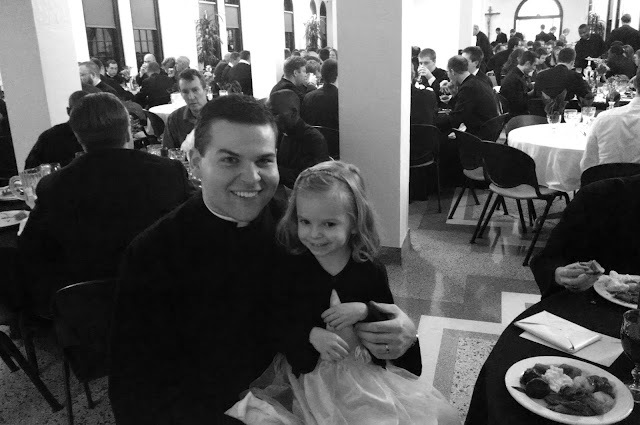 Link up below with your own stories of the priests who have been spiritual fathers to you!